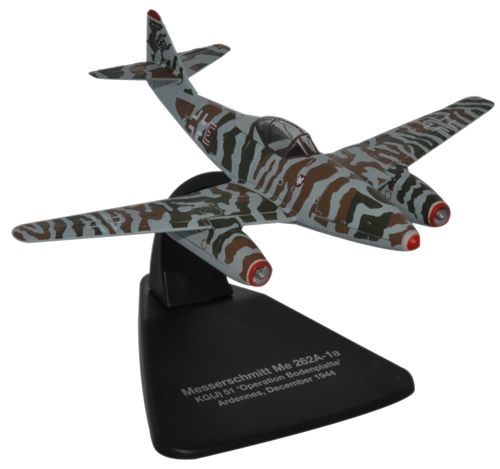 In September 1944, with the Nazi empire under extreme pressure on all fronts, the German Air Ministry (ReichsLuftsfahrtMinisterium or "RLM") acknowledged Germany's desperate circumstances by issuing a requirement for a new jet fighter that would be simple, cheap, and easy to build in large quantity. The Henschel Hs 126 was a German two-seat reconnaissance and observation aircraft of World War II that was derived from the Henschel Hs 122. The pilot was seated in a protected cockpit under the parasol wing and the gunner in an open rear cockpit. The Messerschmitt Bf 108 Taifun is a German single-engine sports and touring aircraft developed by Bayerische Flugzeugwerke (Bavarian Aircraft Works) in the 1930s. The Bf 108 is of all-metal construction. The Dornier Do 335 Pfeil ("Arrow") was a World War II heavy fighter built by the Dornier company. The two-seater trainer version was also called Ameisenbr ("anteater"). Our Price: $32.99 Sold Out!